Whether you are a student, pro, or CEO—now is the perfect time to Better Your Brand with the largest advertising club in Buffalo. Our board of directors has worked hard to create a schedule full of exciting opportunities designed to make your AAF experience the best it can be as you learn, connect, and grow with the top marketing communications professionals from across Western New York. Renewals and new members are now being accepted for the for the 2018-2019 club year which runs from September 1, 2018, to August 31, 2019. 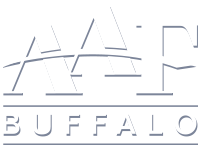 If you have any questions about membership, please don’t hesitate to contact us at info@aafbuffalo.com.